Limotek.co.uk covers limo hire in Liverpool, the Capital of Culture. Liverpool is a diverse and exciting city and the limo car rental available is just as diverse. From pink Hummers and Audi Q7s to Fire Engines and the Range Rover Sport limo, Liverpool has an incredible array of vehicles available to rent. Contact Limotek for the best stretch limousines in Liverpool and all surrounding areas of the North West including Bolton, Blackburn, Cheshire, Crewe, Lancashire, Macclesfield, Manchester, Merseyside, Oldham, Stockport, Warrington, Wigan and The Wirral. We have carried out extensive stretched limo hire research to find you the best limousine companies in Liverpool. Our operators in Liverpool will always go the extra mile to make sure your experience is second to none and because we have such a great relationship with the limousine companies in Liverpool, we can now get our customers some amazing limousine prices. 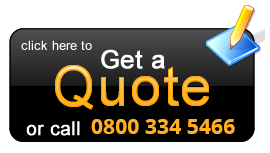 So for cheap limo prices in Liverpool, contact us today. You can use chauffeur hire in Liverpool for any occasion, hen nights, stag nights, airport transfers to Liverpool or Manchester Airport, wedding cars, birthdays and corporate events. The list is almost endless and the stretch limousines available are fantastic. Huge 8-wheeler Hummers, the magnificent yellow Hummer called the Humbee, the incredible black Ferrari limo and amazing pink limos (which even includes a pink Chrysler C300 Baby Bentley)! These magnificent stretch limos are all available for with Limotek today so contact us today for a get quoted some amazing limousine prices. There are of course many other reasons for hiring limousines in Liverpool, not just to take in the architectural sites and art galleries but also to sample the cities fantastic nightlife. Rent a stretch car for a night on the town in Liverpool or whisk your partner to one of the many restaurants in a gorgeous cream Baby Bentley. Arrive in style to one of the multitude of bars in Liverpool in a classic Lincoln Town Car or make an entrance in a massive stretch Hummer as you turn up to one of Liverpool’s super clubs. 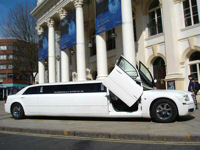 In fact whatever the reason, whatever the event Limotek has the stretched limousines for hire in Liverpool covered. 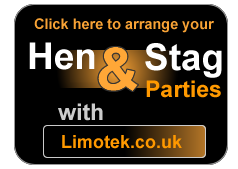 Contact Limotek today and book your limo in Liverpool. Limos for a school prom in Liverpool are available today so contact us for a quote and book early to avoid disappointment. Many stretch limos are getting booked quickly so it’s important to get the limo you want. For the smaller party, plenty of wedding cars are also available to hire. Contact us today for the finest stretch limos in Liverpool. View our other pages at Limo Hire Lancashire , Limo Hire Leicestershire , Limo Hire Maidenhead , Limo Hire Northampton , Limo Hire Nottingham, Limo Hire Oxford, Limo Hire Scotland.